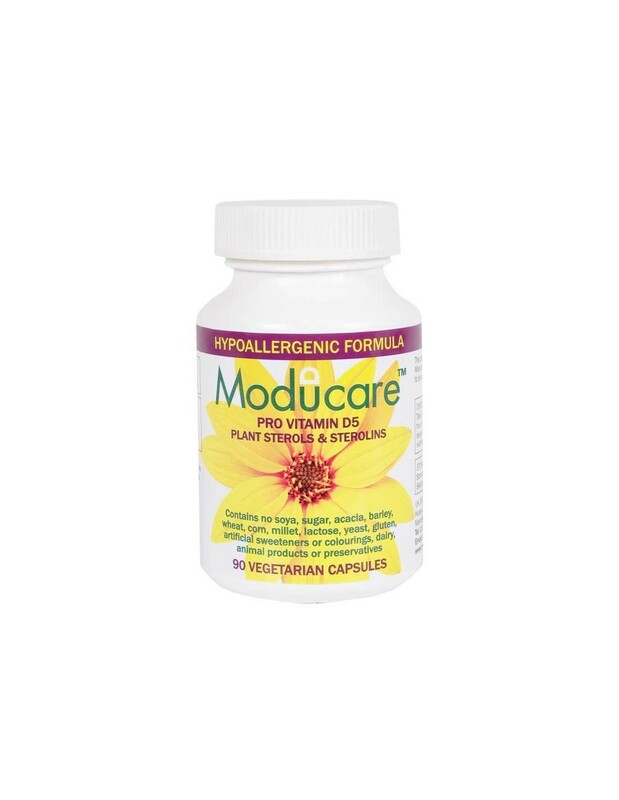 Moducare® is a daily supplement taken to help balance the immune system. Sterols and sterolins do not “fix" the immune system, but provide the nutrients needed to help keep it in balance. They are absorbed in the small intestine and are then transported to the cell membrane. 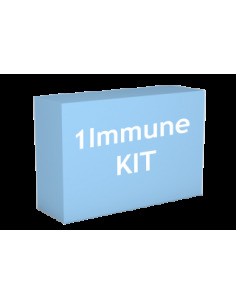 Here, they are beneficial to the messenger system within the cell and modulate specific immune factors that can help control disease conditions. Sterols are fats found in every plant, whether it is a fruit or vegetable. Chemically, sterols are very similar to the animal fat cholesterol. Animals make and use cholesterol, but plants use phytosterols. Sterols are abundant in all plants, but because of the processing of most foods, naturally occurring sterols are leeched from plants. And even if we could eat plant foods rich in sterols, we would have to eat 500-700 grams of fresh fruits and vegetables to derive 100 grams of sterols. 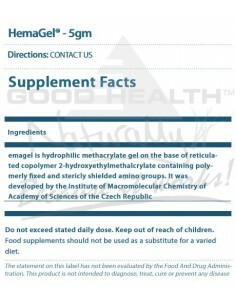 This makes supplementing sterols helpful. 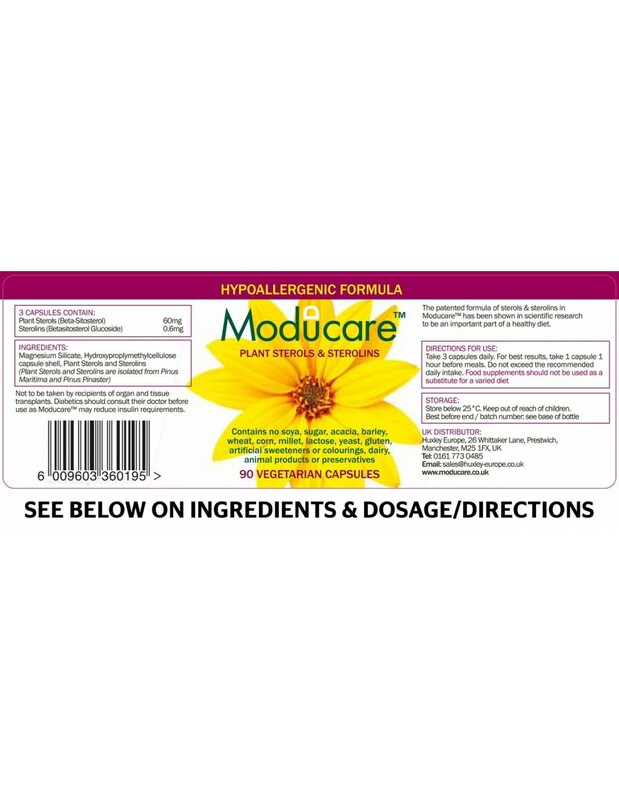 Ten years of clinical trials at the University of Stellenbosch in South Africa have revealed that the active compounds found in Moducare are potentially effective immune supporters. One study, published in the International Journal of Immunopharmacology, showed that these sterols have a significant effect on T-cells. Another experiment showed an increase in Natural Killer Cell activity when sterols were used. Also, sterols and sterolins are able to enhance the activity of the TH1 T-helper cells, cells that control autoimmune processes. These same cells are also underactive in cases of allergies (including gut allergies): due to this under activity, the cells, which release allergic factors, go uncontrolled. Please note, not to be taken by recipients of organ and tissue transplants. Diabetics consult a healthcare professional before use as Moducare may reduce Insulin requirements. Moducare® is an excellent source of plant sterols. 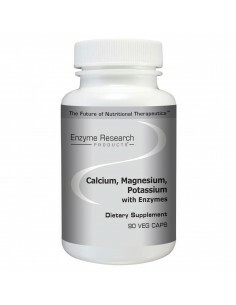 Phytosterols offer immune-enhancing properties and can activate the cells that regulate immunity. 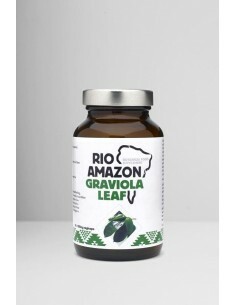 They have anti-inflammatory properties and can help lower the release of the stress hormone cortisol. 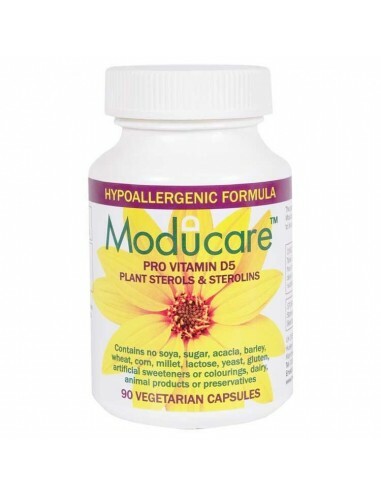 These combined benefits of phytosterols offer significant support to daily immune system health. Does NOT contain soy, sugar, acacia, barley, wheat, corn, millet, lactose, yeast, gluten, artificial sweeteners, artificial colorings, dairy, animal products or preservatives.